Yesterday I hosted my sister's Stella & Dot jewelry launch party. It was a great time and I used it as an opportunity to try out a few new recipes from Pinterest. 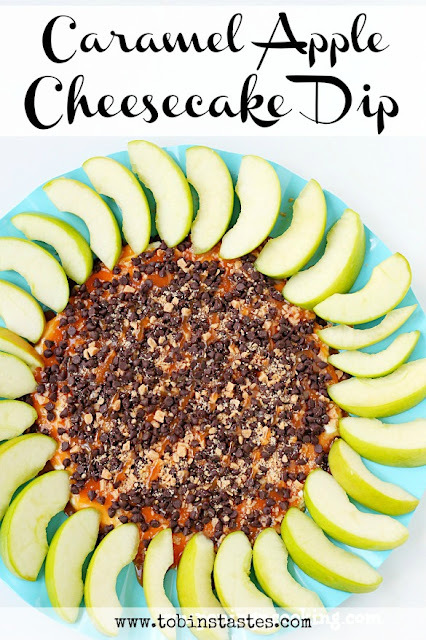 One recipe that multiple people asked for was the Carmel Apple Cheesecake Dessert Dip. It is delicious and super easy. Beat cream cheese and powdered sugar until smooth. 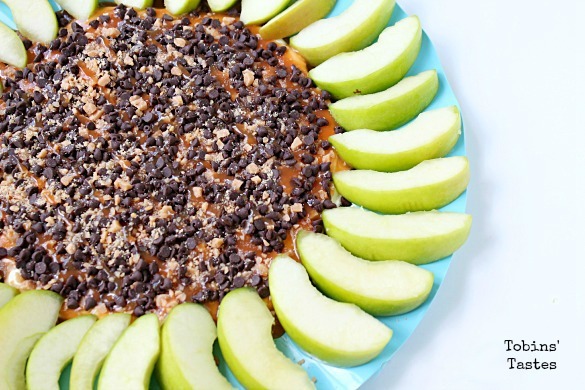 Spread mixture on a serving place in a circle. I'm definitely trying this! Looks yummy!